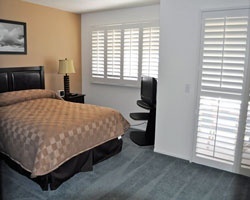 Approximately one block from the ocean, *Sand Pebbles* is also conveniently located to the attractions of San Diego. Take advantage of the resort's outdoor pool, spa, and games rooms. Golf and tennis can be found close by. Be sure to visit the Del Mar Thoroughbred Club for horse racing from late July to early September. San Diego is only 21 miles to the south, where you can take in the San Diego Zoo, Sea World, Balboa Park, and the many art galleries and museums the city has to offer. Other area attractions include Disneyland, Knott's Berry Farm, and Tijuana, Mexico. 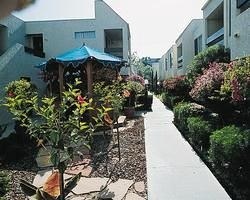 Rare resale opportunity near fabulous San Diego! Make an offer today! 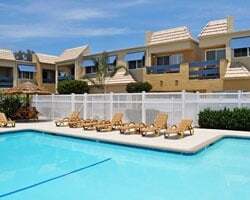 Charming California resort with nearby shopping, dining, entertainment & more! Buyer may receive a title fee credit, inquire for details! Conveniently located near shopping, dining, entertainment, amusement parks and more! Buyer may receive a title fee credit, inquire for details! Motivated Seller.Pick your vacation dates with an annual floating week! Buyer may receive a title fee credit, inquire for details! Price Negotiable!! !